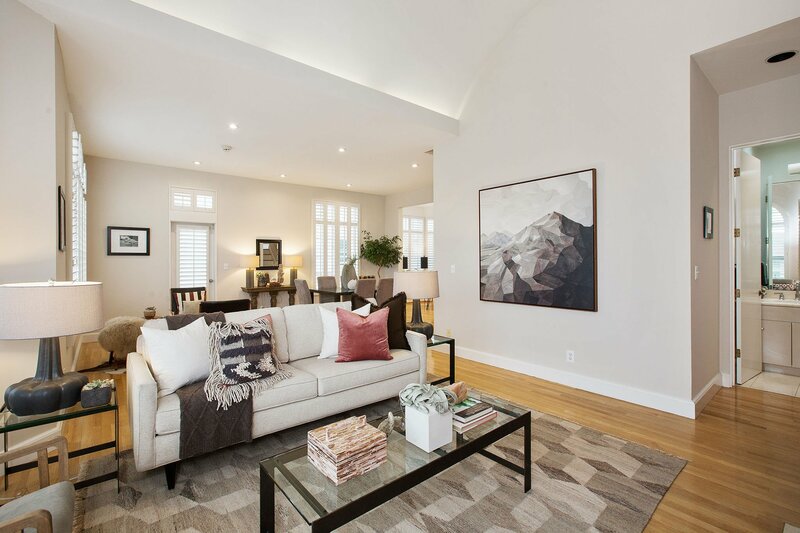 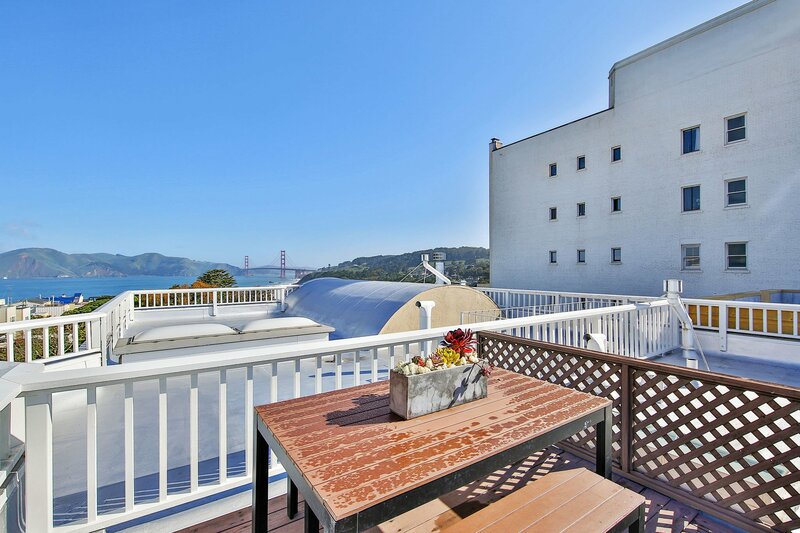 This modern, single-family-like North Lake Street townhome spans three spacious levels plus a roof top deck with Golden Gate Bridge and Marin Headlands views. 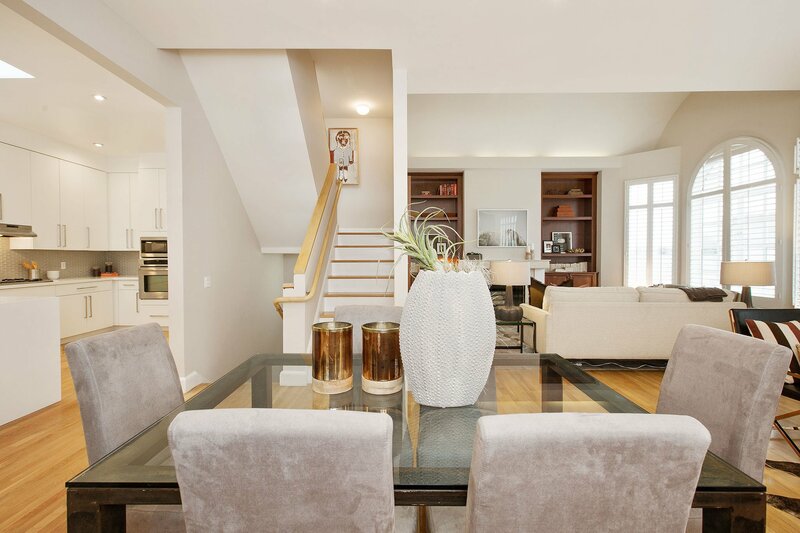 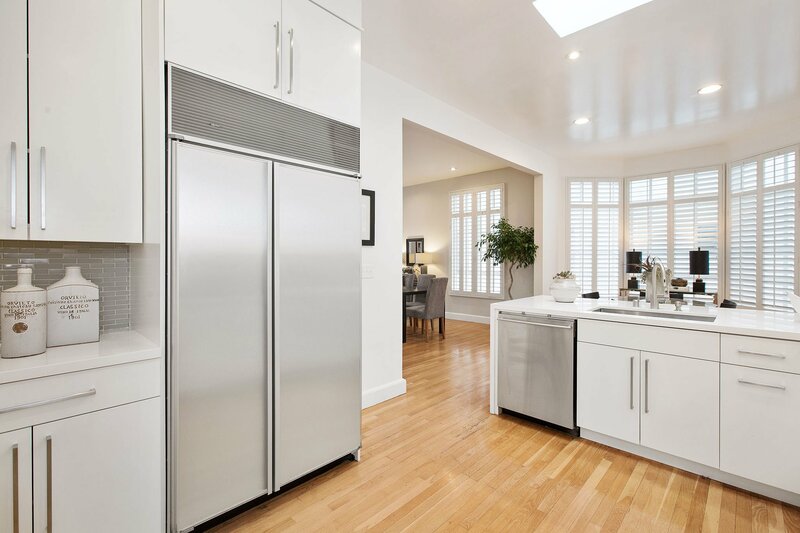 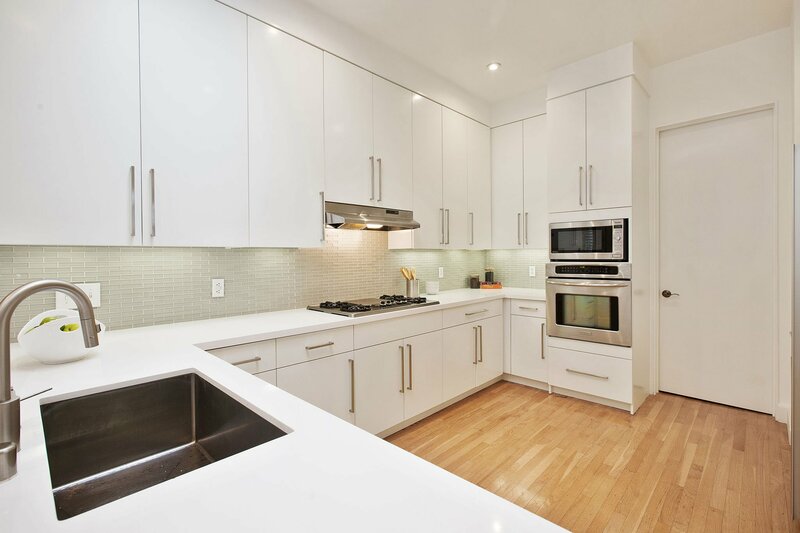 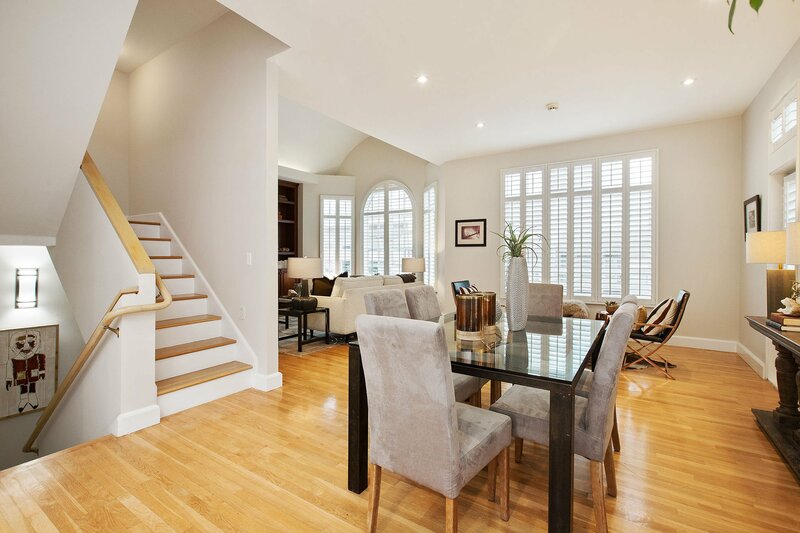 The top level is awash in light and features a sparkling remodeled kitchen with abundant storage space, pantry, bar-seating and an informal dining area for causal gatherings. 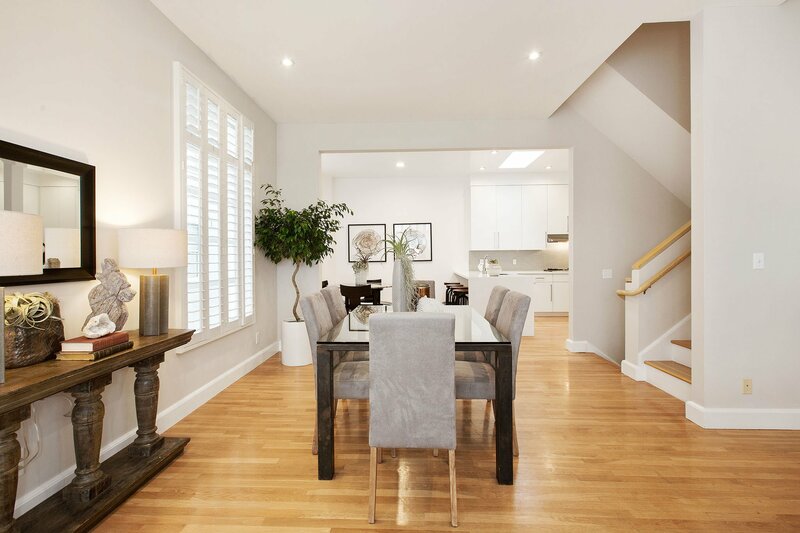 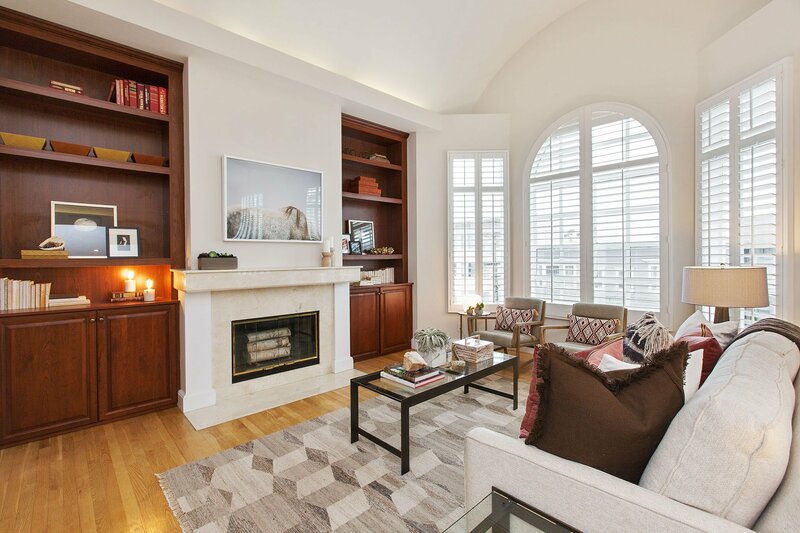 The open living and dining area are well defined with a wood burning fireplace and built-in shelving and very tall ceilings. 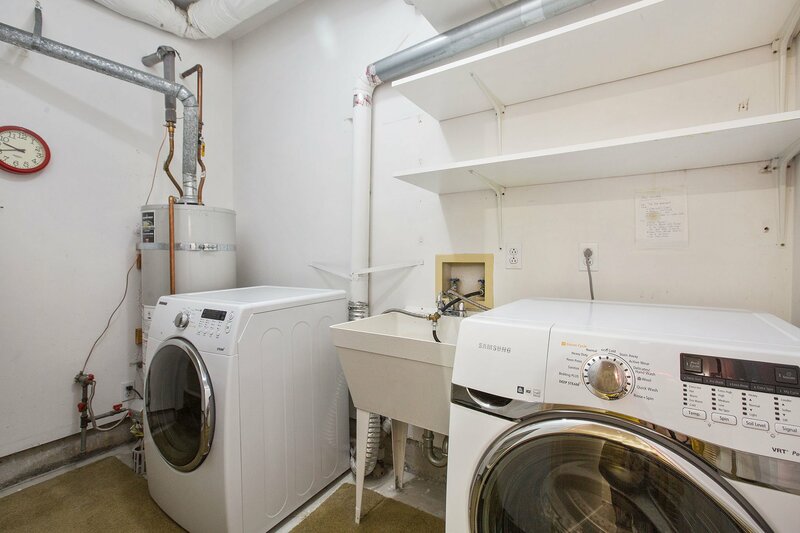 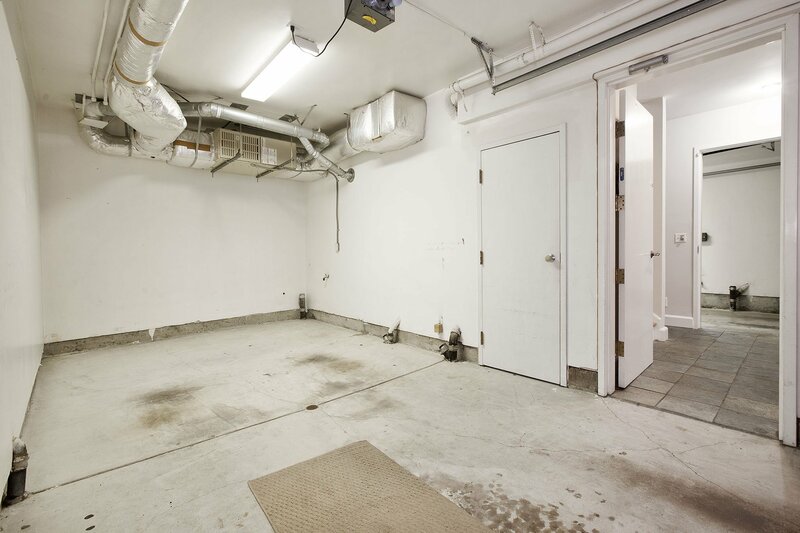 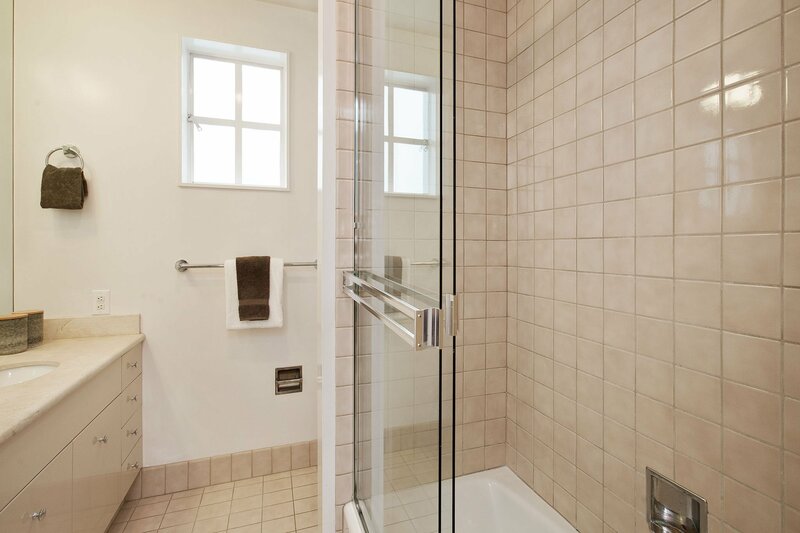 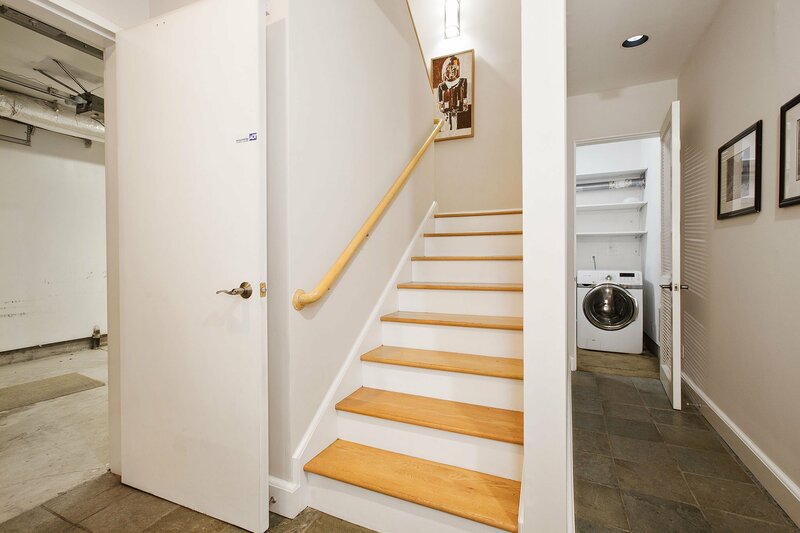 An updated powder room and plenty of storage at this level add to the livability of the space. 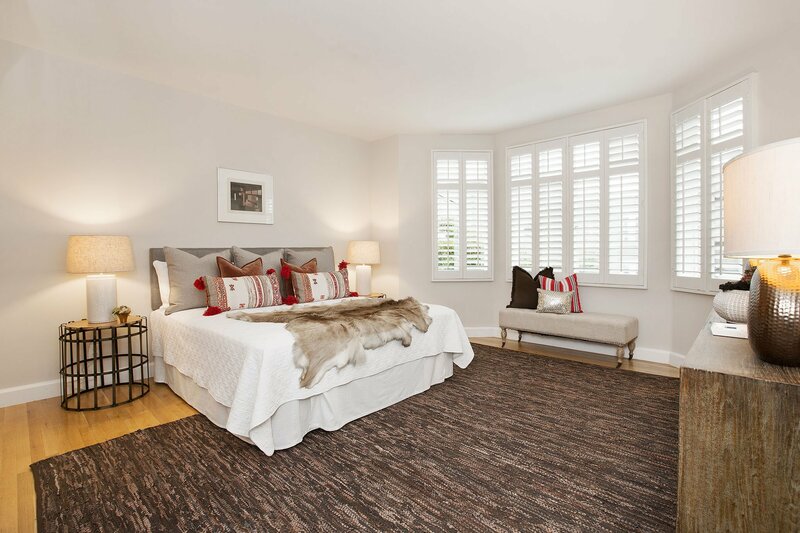 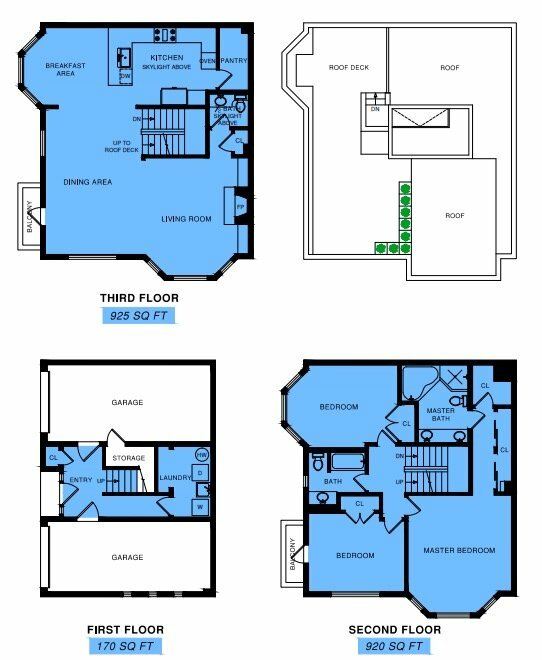 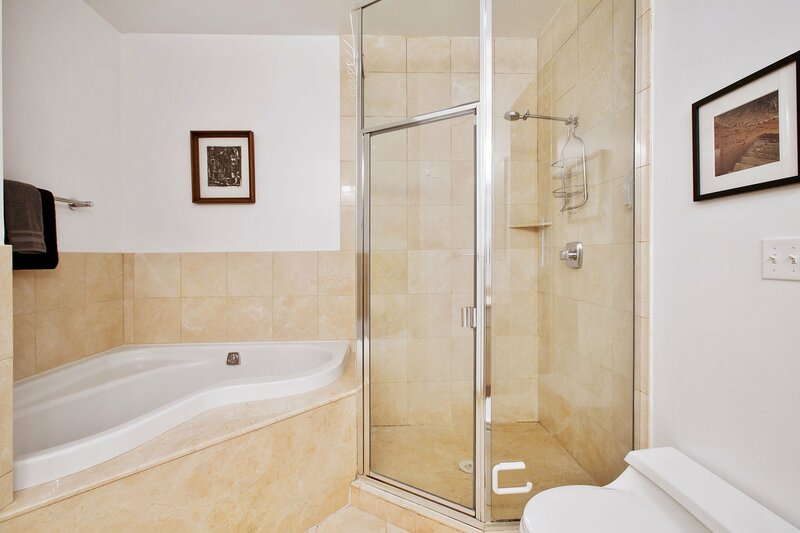 The bedroom level is home to the luxurious master suite and two other bedrooms that share a bath. 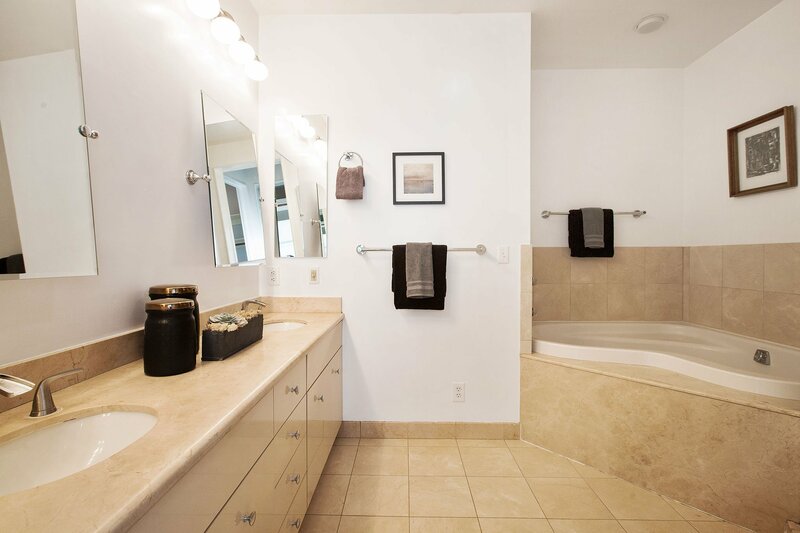 The master suite’s closets are abundant and the double-sinks in the master bath make getting ready together a breeze. 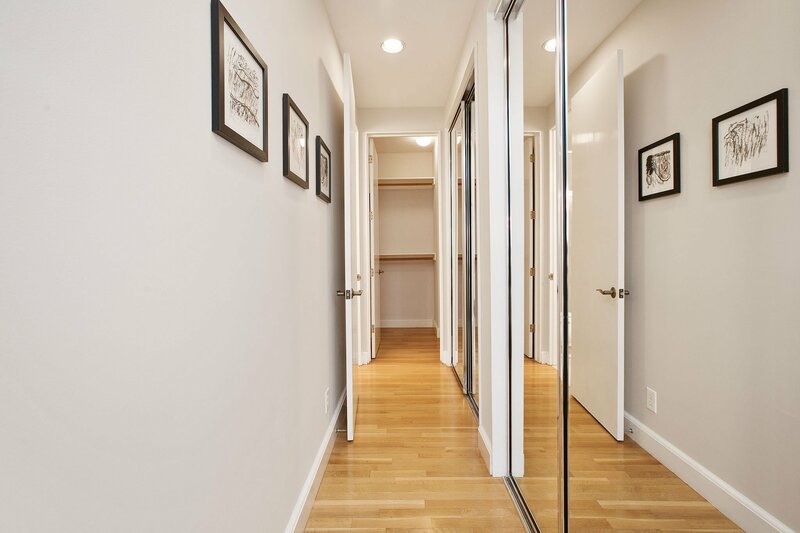 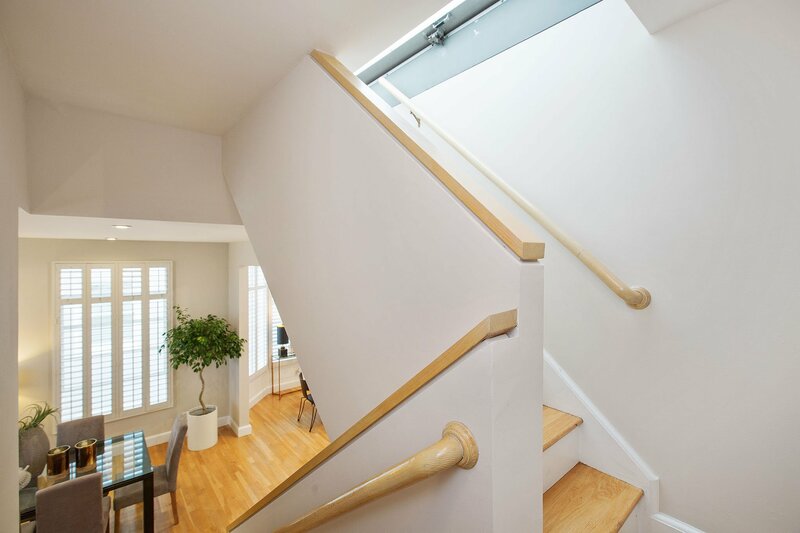 The formal entry foyer connects directly to its two private garages and offers a very house-like sense of arrival. 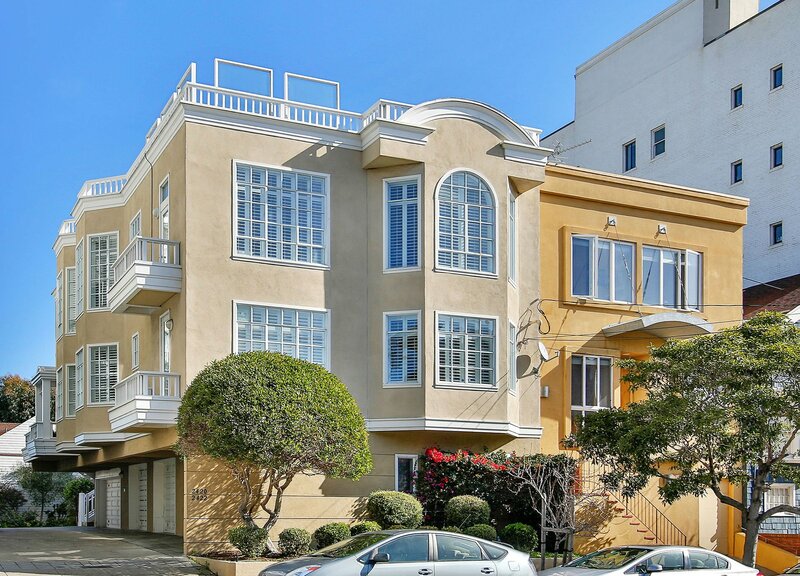 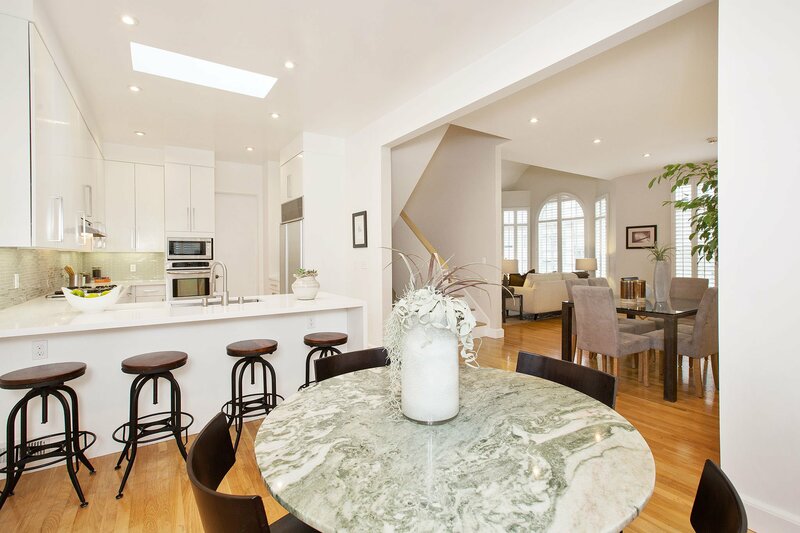 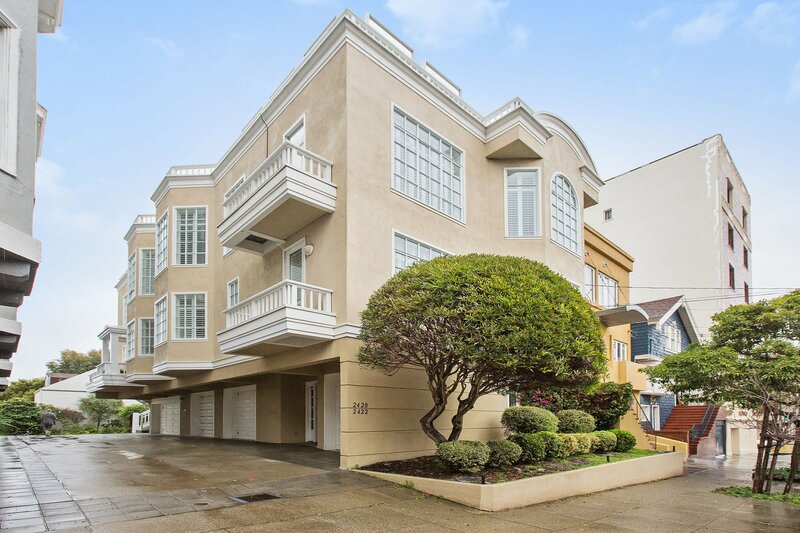 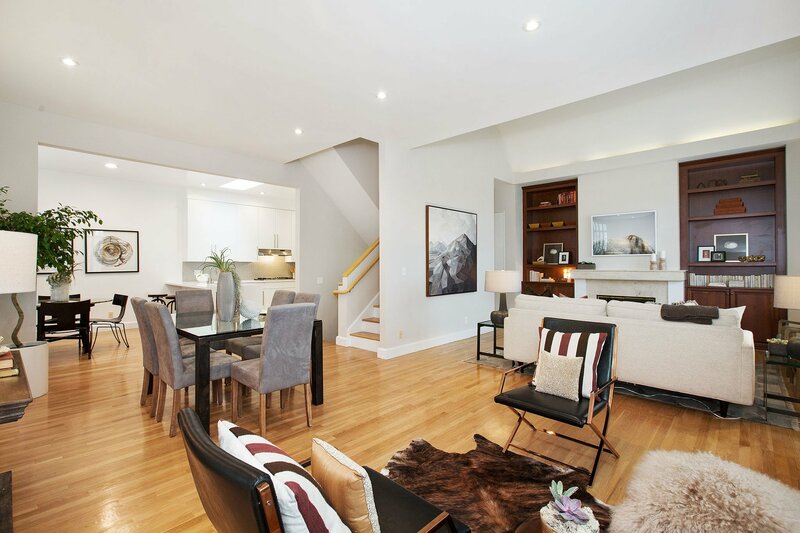 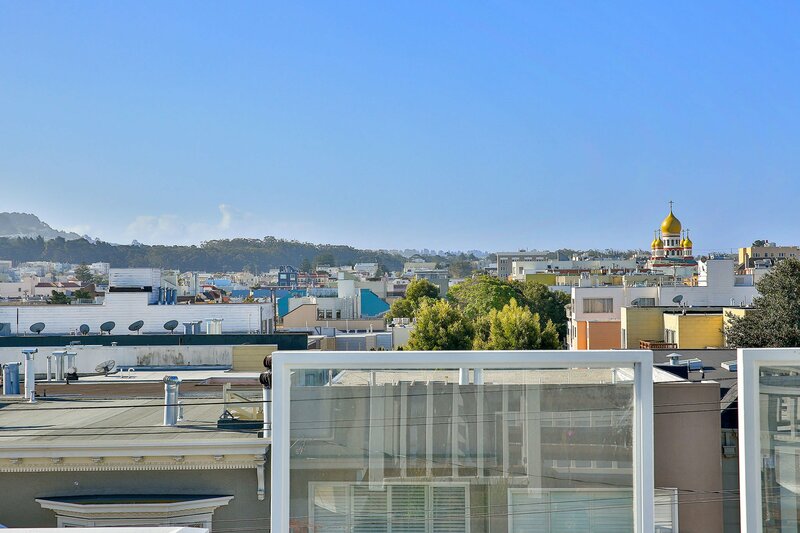 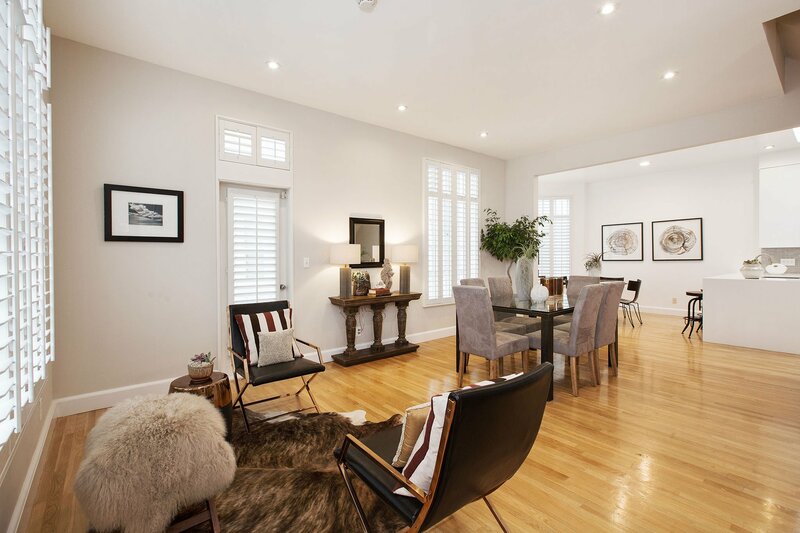 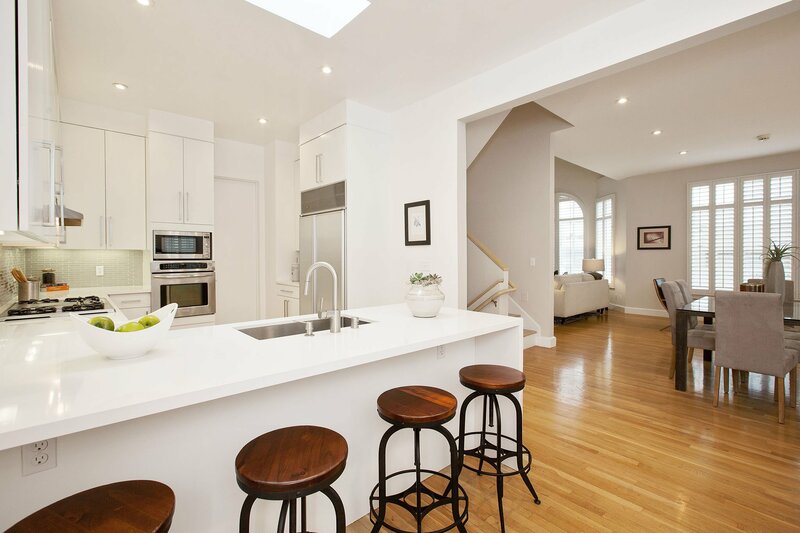 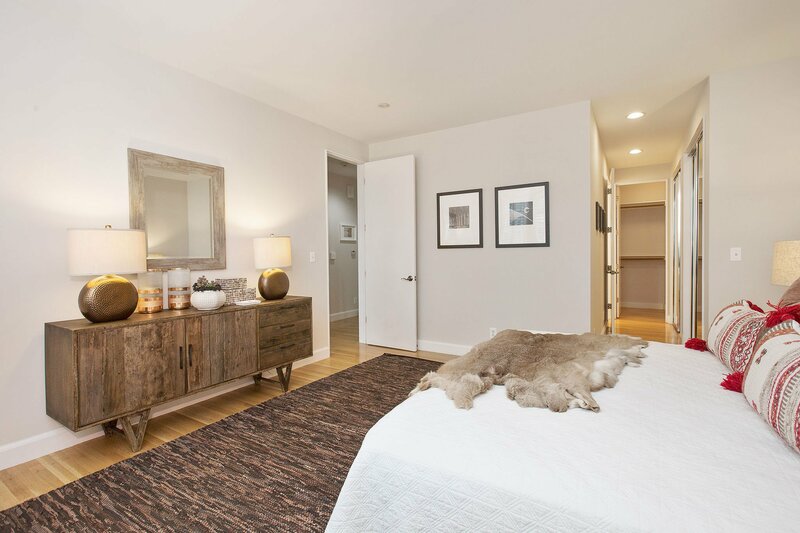 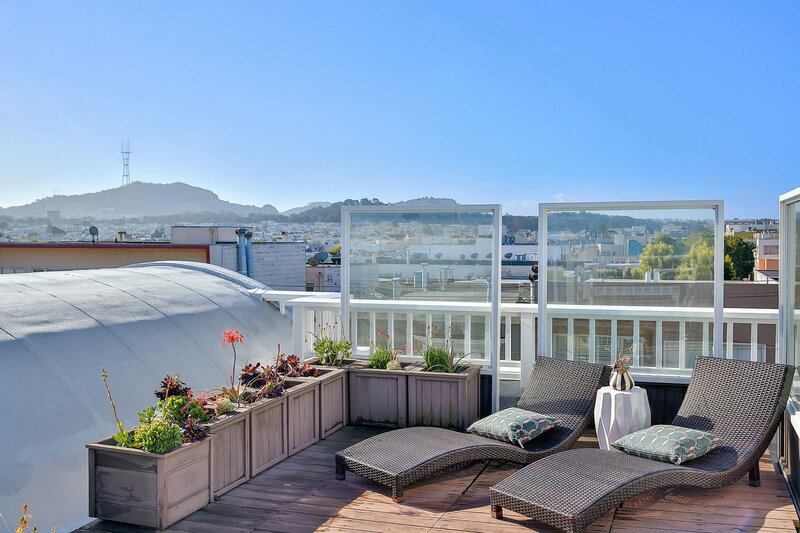 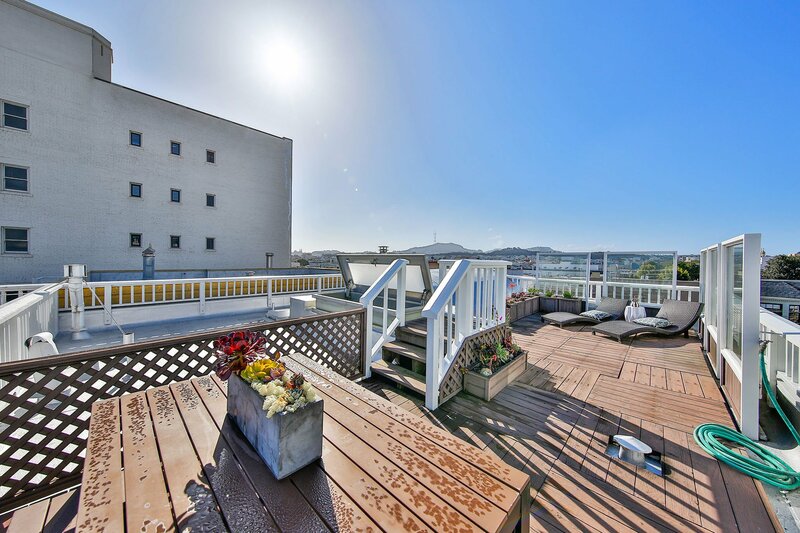 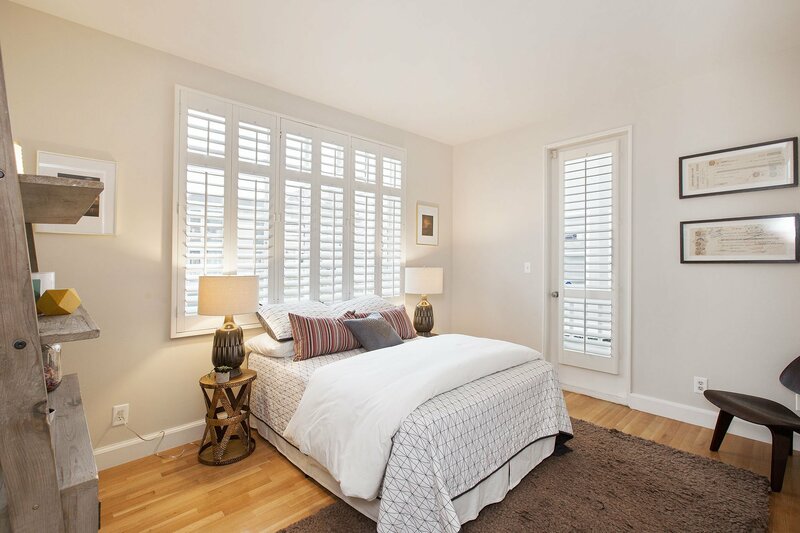 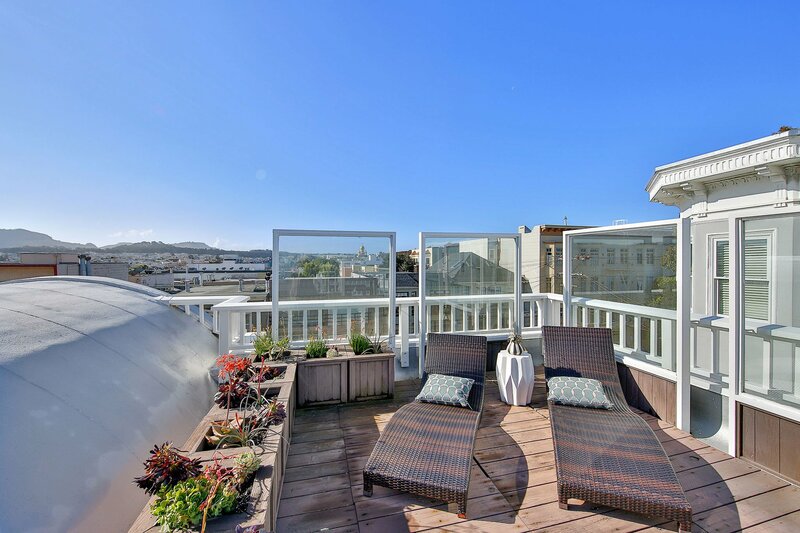 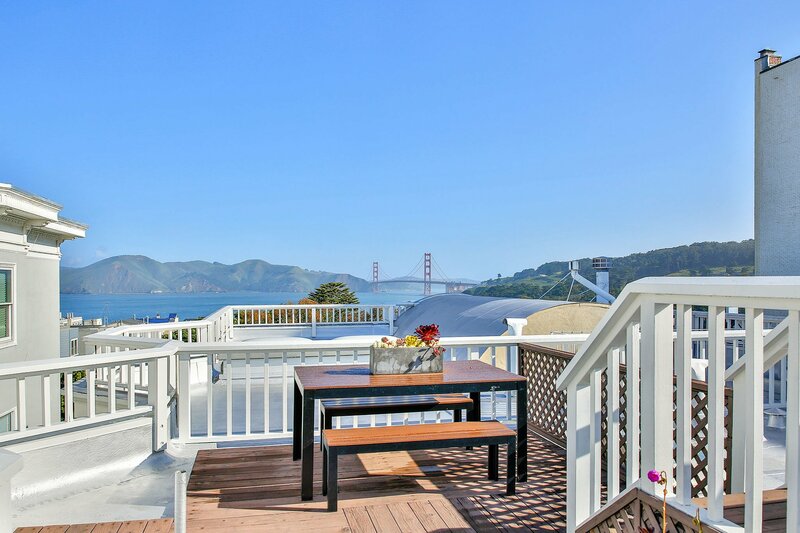 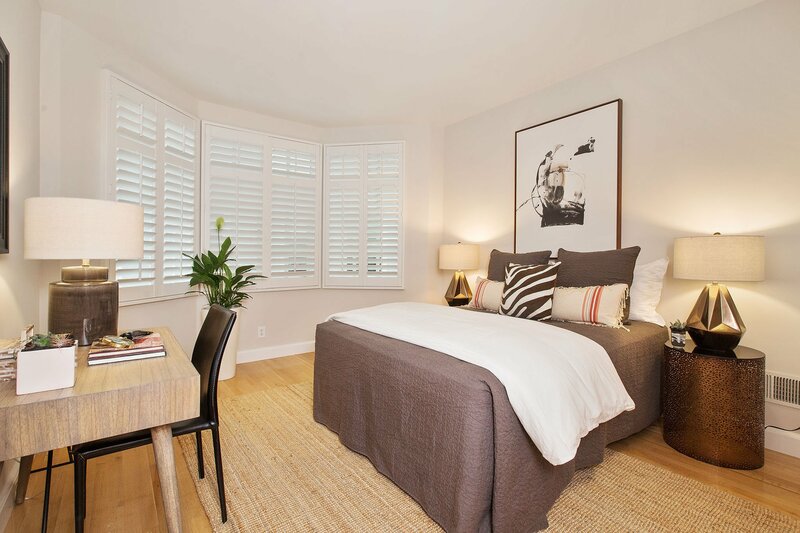 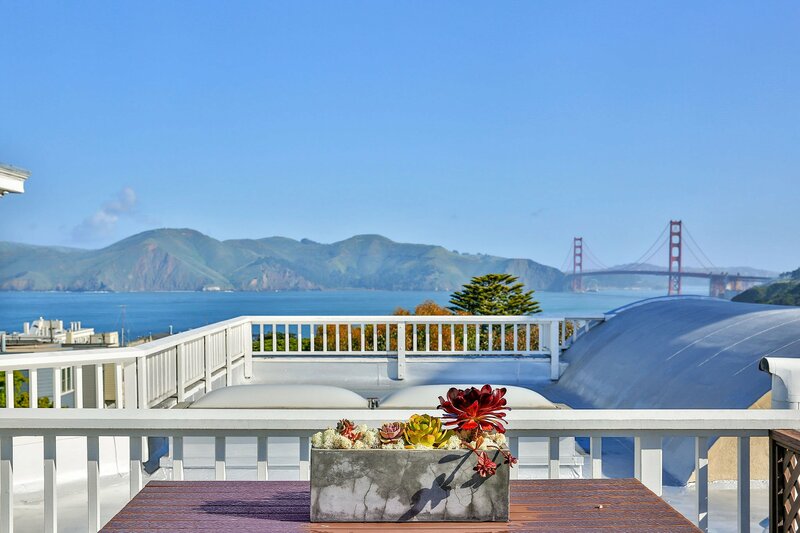 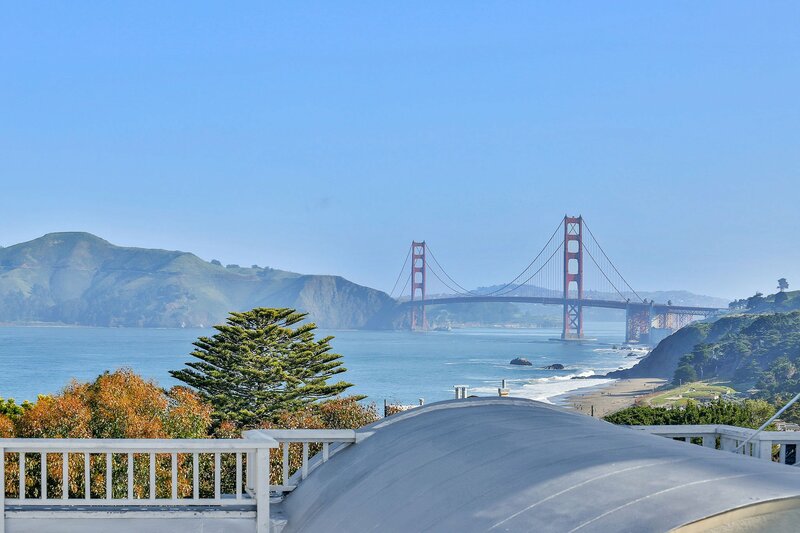 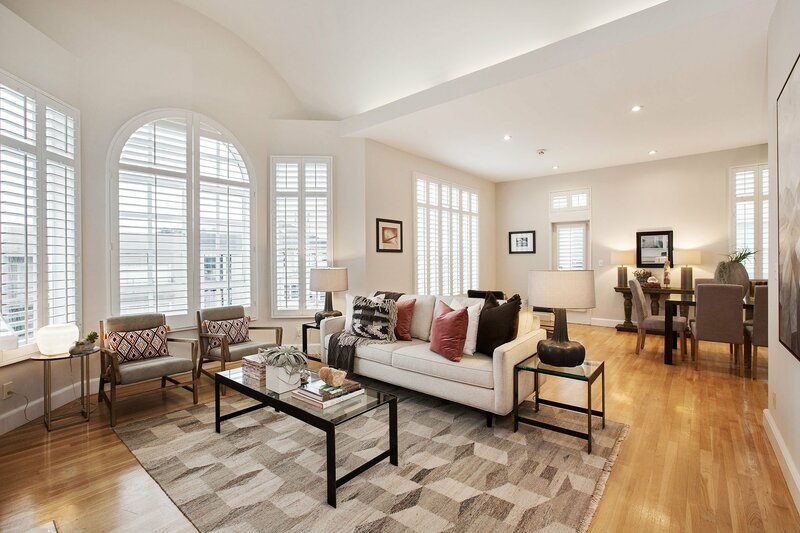 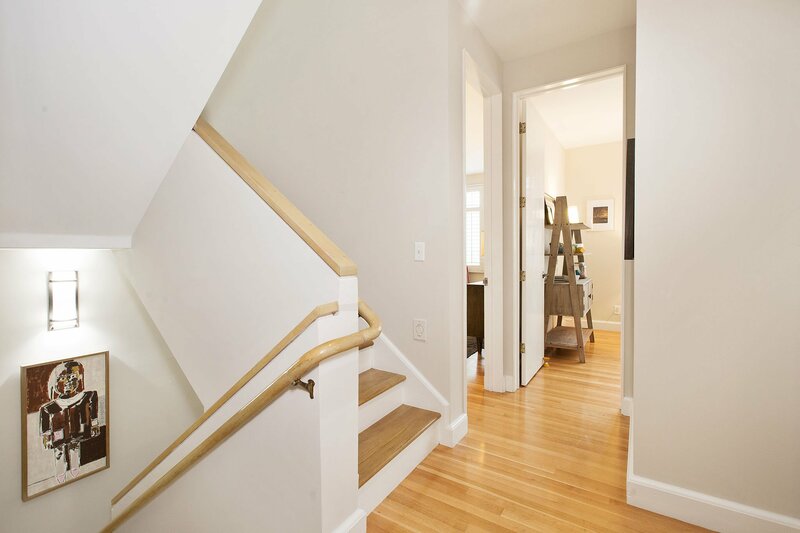 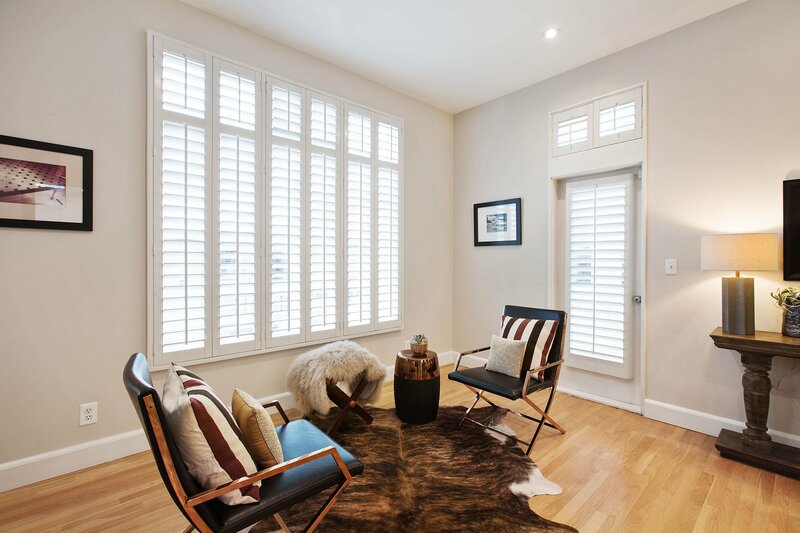 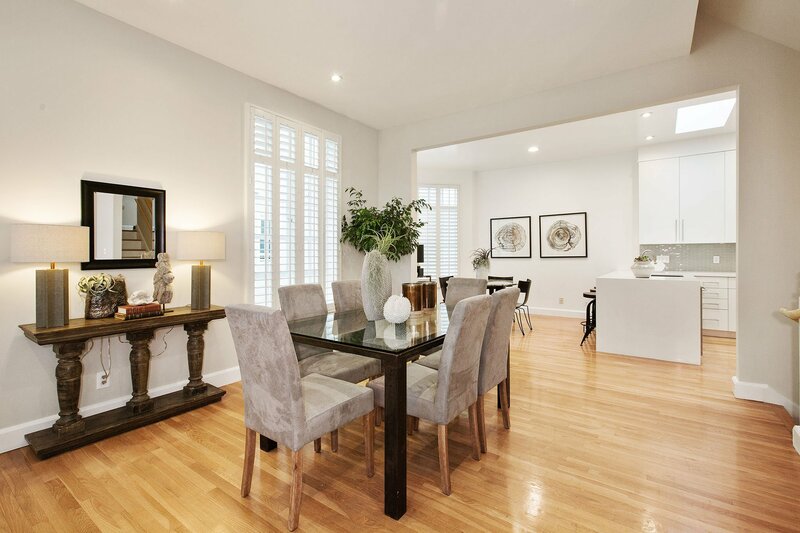 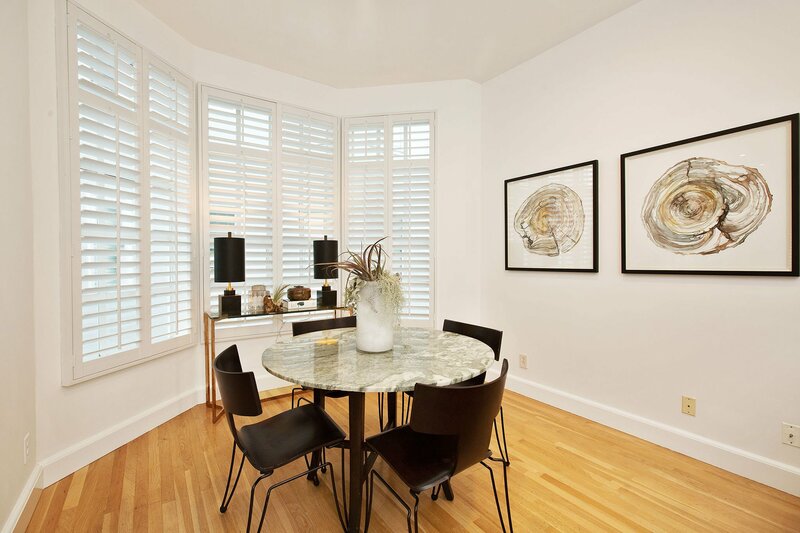 With its proximity to some of the best private schools in the city, short walk to Baker Beach, Lands End, Legion of Honor, and half a block Rochambeau Park this Lake Street town home is a turn key oasis.